This Ethernet switch has ten ports. There are eight PoE+ ports that, combined, provide up to 60 watts of power for your devices. The IEEE 802.3az Energy Efficient Ethernet feature will disable PoE power to ports that do not need it. There are also two non-PoE ports. All ports comply with 802.3 (10BASE-T), 802.3u (100BASE-TX) and 802.3ab (1000BASE-T). The switch supports jumbo frames of up to 9,216 bytes for efficient data transfer. There is a 4.1 Mbit memory buffer. Port-based QoS enables deterministic data transfer. 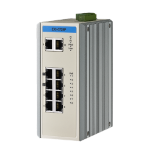 This is a rugged wide-temperture industrial device that can be mounted on a panel or DIN rail. You can connect dual 12 or 24 VDC power supplies for redundancy. There is a relay output to indicate a power failure. A unique capability is provision for remote monitoring via both Modbus/TCP and SNMP, letting both control engineers and IT staff connect. We recommend use with our double-shielded CAT-6 cables. 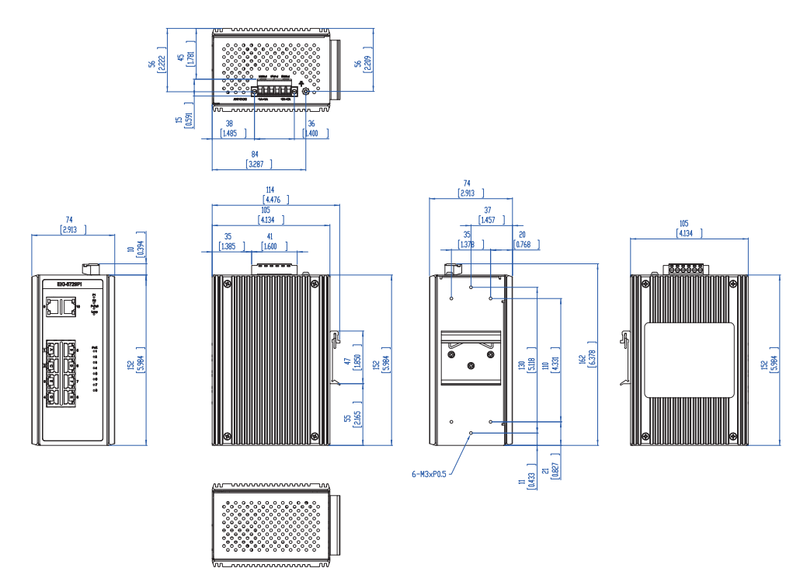 Ask us about the extra-wide-temperature range option for -40 to 75 C operation.